How do you define 'complete' for your projects and production activities? At first glance you might be thinking that this is an obvious question to answer for your business. Over the years I have come to realise that many people try to tick things off their 'to do' list early, just to get the feeling of achievement from having them ticked off. I see the same effect taking place when businesses report internally (and even externally, in some cases) on the progress of projects and production. Ignoring the final production stages, declaring production to be complete when a key point in the process has been reached. Ignoring the wrap up of projects, again declaring their completion when a 'tipping point' in the project has been achieved. From my observations these declarations are made when there is a feeling of safety within the business at these points; it is felt that the outstanding work can be mopped up somehow. At these points the customer (again, internal or external) is then told what they want to hear. I witness businesses who time and time again fail to deliver their products and services using the above strategy. They are often never really late, but they are late nonetheless. So, how do you get out of this situation, should you find yourself in it? Clarify the reporting that takes place in your business about when a project / production is complete. Accept the facts and don't try to sugar coat them. If a project is running late then it is late. Period. 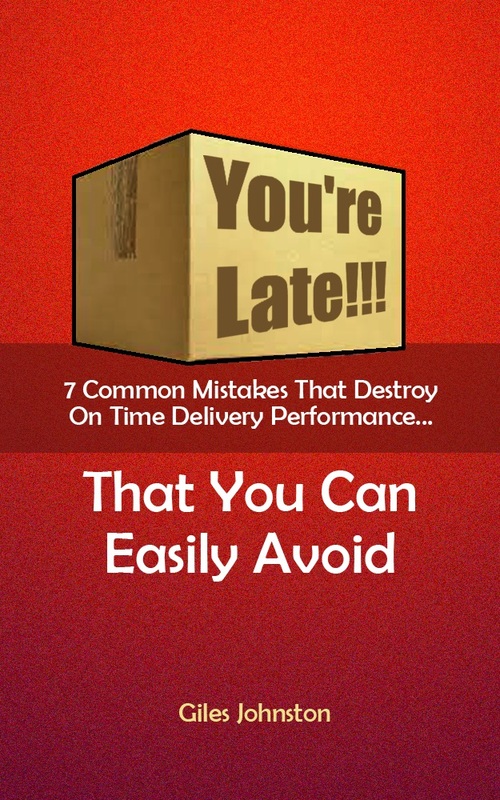 Figure out what is, or isn't, happening in your business to create the situation of missing delivery dates. Create an action plan to resolve the issues in your business, as identified above. Come clean with your customers about real delivery dates. Re-schedule your order books if you cannot recover the situation. Ensure that you have a robust reporting system, and scheduling approach, going forward so you minimise the chance of this situation from re-occurring again. Taking the 'blood, sweat and tears' out of on time delivery is always a challenge, but one that can be achieved. 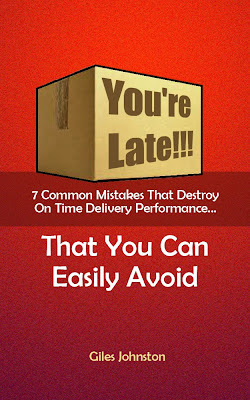 If you would like some simple continuous improvement ideas to help your business improve its on time delivery performance then sign up for my monthly email update and get a copy of my guide 'You're Late!!! '.